This practice complies with the Privacy Legislation Acts of the Commonwealth and Queensland Governments of Australia. This legislation covers medical services of all types within Australia. In appreciation of these Acts, we recognise each persons right to privacy and confidentiality. 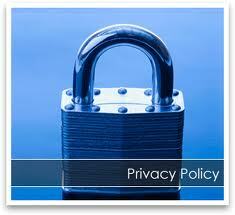 Our clinics comply with stringent codes to protect your personal data. Patient files and contact details are stored securely. Our server in an in-house system that is not shared by other parties. Patient consultation notes are also securely stored. Access is restricted to clinicians within the podiatry practice. Consultation reports are shared with relevant medical practitioners via secure messaging. Specifically, this is Medical Objects Secure Messaging. Only relevant personal information will be collected after attaining prior Consent. Requests for your own personal information can be made by contacting us. Personal information will not be disclosed to third parties without prior consent from the individual. This web-site can be viewed without requiring the disclosure of your personal information. All confidential information will be stored, archived or disposed of securely. We do not sell email addresses or any other personal information collected at this web site. You may wish to read the Terms of Service page. This details advice for using this website. The website is primarily about conditions affecting the feet and lower limbs. Specifically those that cause pain or reduce the enjoyment of life. Information provided here is for information purposes only. Nothing on these pages constitutes medical advice or diagnosis. It is not necessary to provide any personal information to view this website. All pages may be freely viewed without the need to log in or subscribe. All pages have been written by a qualified health care professional.